Happy Valentine’s Day ❤︎ What better way to celebrate than loving on the books in my life? 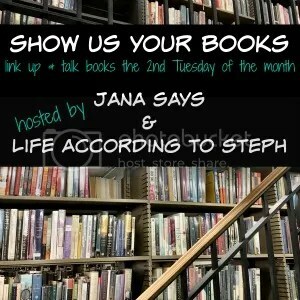 Last time I mentioned that I’d be linking up with Steph & Jana for Show Us Your Books this year and, therefore, labeling these posts a little differently than 2016’s monthly round-up. The way I rate the books and how I summarize them is still the same. Below I’ll include a brief summary, why I picked up the book, and what I thought. Then I give my oh-so-valuable opinion on whether or not you should read it and why. Images link to their GoodReads page (let’s be friends!). Let’s begin. Summary: The first book in The Chronicles of Narnia, this classic follows Digory and Polly as they discover new and old worlds, as well as the creatures that live there. | Why I Read It: I read this story a long time ago, but I’m working my way through TCofN and this book is the first. Plus it met a requirement for Erin’s Challenge. | What I Thought: I read another book in this series last year and found this one to be equally enjoyable. I love that this book is the “Genesis” of Narnia. I know not everyone likes it or cares about it, but I enjoy the religious undertones in these books. These books are short and full of storytelling, and I’ll be tackling the remaining five in the series, even though I know I’ve read The Lion, The Witch, and The Wardrobe before. It’s a smart, entertaining set of books to revisit. You Should Read It Because… you enjoy children’s lit. or you’re a fan of C.S. Lewis or you’re in need of a quick yet meaningful fantasy series. Summary: 16 “heirs and heiresses” are brought together to solve the mystery that is Sam Westing. The players include a bookie, a birdwatcher, and a bomber… but could one be a murderer, too?? | Why I Read It: I’ve been meaning to read this book for a long time. I popped into the bookstore before our trip to San Antonio (as I always do before a trip ) and saw it on sale… so I bought it and tossed it in my carry-on. | What I Thought: Whew… I’m glad I tackled this book in a single day because there were SO many characters. I’ve tried to start this book a few times in my youth and I always ended up putting it down and forgetting about it. Not this time! I started figuring out the clues and mystery around page 100, but there were still enough twists to keep me entertained. I loved how the stories weaved together and the friendships developed. To be honest, there were 4 or 5 holes or unanswered questions. I wanted connects to happen where there weren’t any. I gave it four stars because of that untapped potential. You Should Read It Because… you like the movie Clue. This is a good book for Nancy-Drew-loving pre-teens and teens (and adults)! What did you read last month? Have you read The Chronicles of Narnia? The Magician’s Nephew was always my least favourite Narnia book, although it is nice to see how Narnia begun (and why there’s a random lantern there. LOL). I read the whole series as a child and never even noticed that religious aspects until I was much older. Ooh, I do love the movie Clue so I shall have to look into that book. I don’t think I’d see the religious thing unless I knew it was there. Maybe I would, but I’ll never know. Haha. I LOVE that you’re reading the Narnia series! 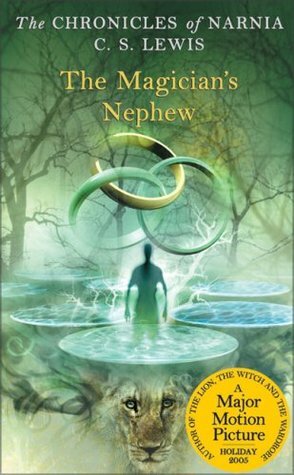 I never noticed the religious aspects until I reread them a few years ago even though I read the whole series numerous times since I was 10….The Magician’s Nephew was never my favourite as a child but I did enjoy it more as an adult. Go figure. I read it as a kid a loooong time ago, mainly because I wanted to read The LWW and I couldn’t get myself to read them out of order. Haha. (Even though I read The Horse and His Boy a few months ago without the other three preceding it.) I don’t think The Magician’s Nephew is my favorite either, but I like that it completely explains the birth of Narnia. I loved The Westing Game in middle school!! But I do remember it having like 87 too many characters haha. I’m so irritated with myself for not having read it prior to this past month! I remember going to start it at least twice as a pre-teen. I had a pencil and paper ready, all prepared to solve the game. Hahahahaha. I tried to turn it into something more than a fun mystery book. I have never read the Narnia books – I have them… just never read them. I may need to make that my summer reading goal. Macomber can be a little cheesy. I think I will skip this one. The Westing Game sounded interesting. Hey, at least I can say I tried it. Lol. It just wasn’t my cup of tea. I don’t know that I’ll read these but I absolutely love your explanations for your star ratings! the westing game sounds interesting. i haven’t read any of debbie macomber books – i like romance and love fluff when i’m in the mood for it, but her books have never called to me. I should’ve taken an airy romance recommendation from you! I remember in elementary school we were given a few choices of books to read and The Westing Game was one of them and I know a bunch of kids loved it but I can’t remember for the life of me if I read it or not… I kind of want to now! The Chronicles of Narnia take no time to get through so if you have the least bit of interest I say go for it! I reread The Westing Game last year for the first time as an adult and enjoyed it so much (also love the movie Clue, haha). Escape From Mr. Lemoncello’s Library is a kind of similar (but different) middle grade book I really enjoyed too that has a fun mystery/adventure element to it. Ooooh, I’ll have to check that one out, too! There are some real gems in books for that age-range. I know it’s below my reading level, but it’s nice to break up serious “adult” books with fun ones like that! I’ve never read Narnia, and honestly don’t have any interest. Fantasy is not my preferred genre. I remember loving the Magician’s Nephew and I was just thinking recently I need to reread that series!!!! I think my brother got the set years ago and somehow it ended up in our house on my book shelf, lol. (Well… probably because I’m a book thief- oops.) Unfortunately, two of the books are missing. Hahaha. That’s what I get I guess. I have watched all the Narnia movies and enjoyed them but never read the books. I’m not sure why but it sounds like I should give them a try. I know my nephew really liked them. Funny enough, I don’t think I’ve ever seen any of the movies all the way through. The Westing Game sounds so interesting! I really love mysteries and thrillers, so I’ll definitely be picking it up! And great job on Erin’s Book Challenge so far! Winter was a long book, but totally worth reading all the pages! It was a great end to the series! Thank you 🙂 I know some people are already done with the challenge but I am just not that kind of person. I don’t read as fast or often as I’d like to. I finished Winter two or three days ago and I am SO SAD it’s over! 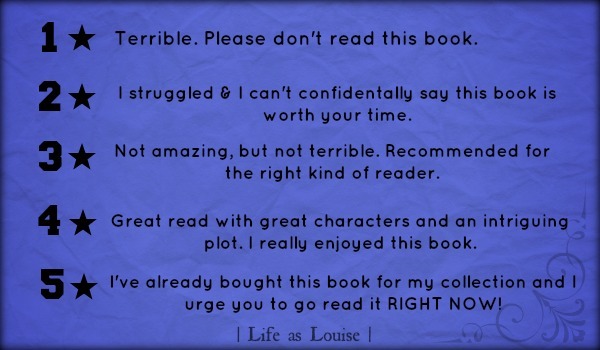 (I just finished Stars Above, too.) It was such an incredible series! On to Meyer’s Heartless. I loved Narnia as a child and can’t wait to re-read them someday as an adult (I haven’t re-read them all yet, but a few of them). Predictably, The Lion, The Witch & the Wardrobe is my favourite. I loved The Westing Game! Yes, so many characters but I haven’t read it in years and still remember some of them! The characters are definitely memorable! I’m not surprised you still remember some! Haha! I really should read The Westing Game! I remember that from when I was younger, but never read it. I have Winter and I still need to read it. I should get on it soon because I LOVED the other books. WHY ARE YOU COMMENTING?? GO READ WINTER RIGHT NOW!! 😀 Hahaha! I kind of wonder if I’d have liked it more if I’d read it in December before Christmas…. but somehow I doubt it. Lol. I have my mom’s Chronicles of Narnia set from when she was a kid, and I have yet to read them. I really need to! I have also heard of The Westing Game before and it sounds like something I would enjoy.